Data is overwhelming and so are the industries desperately in need of being able to handle it. The rise of a concept called data-driven intelligence serves as the model for a new perspective here. Based outof Pune, Amplify Mindware is digital transformation Services Company focused mainly on the Maritime industry, Automotive & Manufacturing domain delivering the power of Automation, Cloud, Analytics and Mobility. The business focuses on various data points enabling clients to procure as much data as possible. Amplify Mindware helps organizations in predictive maintenance, predictive diagnostics, smart alerts, thereby increasing machine and human relationships in the process. The company hand holds clients through their digital journey via three steps ­ capturing accurate and maximum data, deriving intelligence out of the data and taking decisions on the acquired intelligence. electronic machines/engines to fetch data on to data logger, and finally for diagnostics & Predictive Maintenance. Having conquered the fairly unexplored industry like Maritime, Amplify Mindware now powers a disruptive digital maritime platform called Smart Ship. Smart Ship is a disruptive platform which is enabling Global Maritime companies (ship Owners, Ship Operators) to manage their Vessel Performance, Fuel, Spares, Maintenance, Voyage, Cargo and a range of Ship Management processes effectively on mobile. Smart Ship fetches data from Ship's machinery including: Main engine, Aux Engine, Boiler, Bridge equipment (Including Radar, log, GPS, Anemometer, Slip, Trim) on to cloud for deeper analytics on trends, projections :enabling substantial savings in Fuel utilization, Spares & Maintenance as well as enhancing over all vessel performance. The platform truly liberates the power of smart sensors, IoT, cloud, mobile and analytics. Amplify Mindware also has a subscription based platform on mobile for the automotive & manufacturing sector, aimed at optimization of the complete sales channel. "Virtual Dealership" platform enables organizations with dealerships to be integrated to their customers for Pre Sales Customer Connect, Lead Generation, Sales Process, Digital Catalogue mapped to individual dealer and customer segment, Post sales service, Spare parts inventory linked to Customer service requests. Telemetry solution together with analytics, AI &ML is helping automotive and manufacturing organizations to log in data from equipment for predictive diagnostics and maintenance. Data gathered is a rich asset and Amplify is helping organizations set up data backbone along with rich intelligence layer for deeper insights. 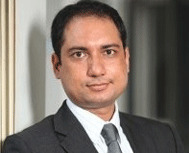 "Our differentiating factor is the domain knowledge and deep engineering skills that enables us to deliver excellent BI solutions with ROI metrics", adds Joy Basu, CEO, Amplify Mindware. In the years to come, Amplify Mindware is working towards bringing in singular digital backbone for the maritime industry. Now, as the CEO hints, Amplify is working towards bringing in close to 80 ships under its Smart Ship digital network to create an ecosystem of networked ships that leverages mutual resources. Leveraging on their ingenuity with data, Amplify Mindware is seeking to offer automation primarily from the point of view of Predictive Diagnostics, Higher Vessel Reliability & Cost Savings by optimizing maintenance schedule.